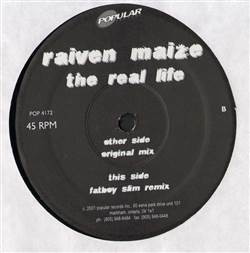 Raiven Maize - The Real Life 12"
BREAKS, Popular, Canada, 2001... Progressive House, Breaks with The Real Life (Original Mix), The Real Life (Fatboy Slim Remix). Sparks / Wildchild - Beat The Clock / Renegade Master 12" Fluke - Atom Bomb 12" A.F.C. Botswana - The Cynical E.P. 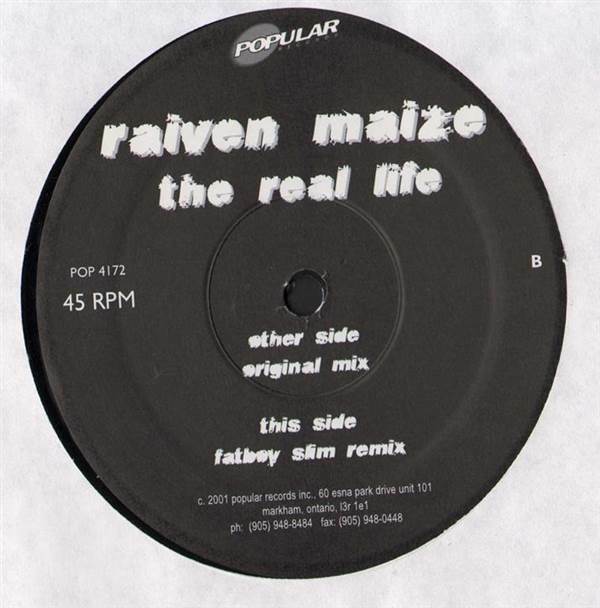 12" Producenterna - Beatz, Flows & Hoez 12"
Just Jack - Snowflakes 12" 3 Bad Brothaz - Acid Party / Just 2 Be With U 12" Red Seal - Upturn 12" Ils - The Next Level / Music 12"